Category: Blankets and Throws. 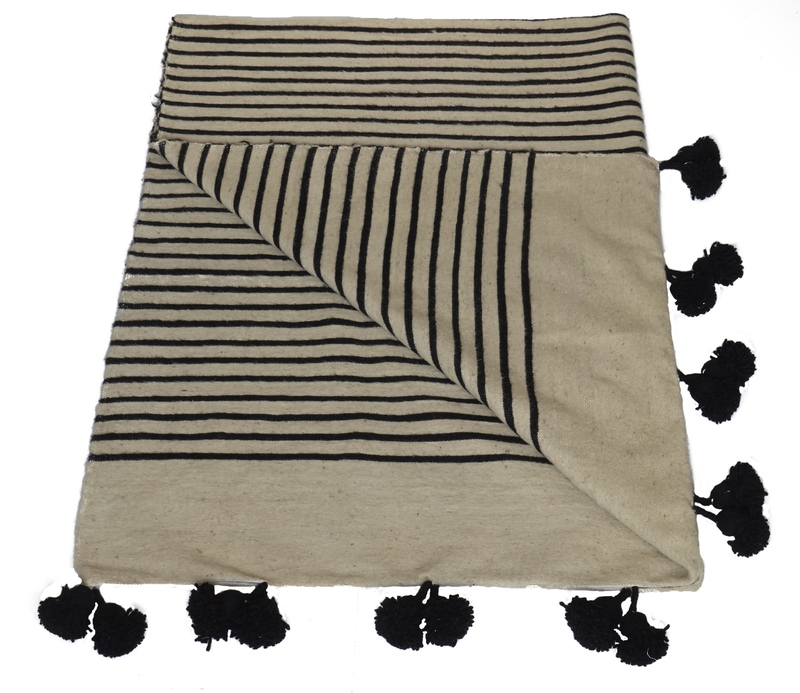 Tags: hand-woven blanket, Morocco, New, striped Moroccan blankets, striped throws, wool blanket. Our traditional striped Moroccan blankets have been hand-woven on wooden looms using techniques handed down from father to son over generations. Handcrafted from 100% wool they come with a high snuggle factor. The popular black and white stripes work well in a contemporary or modern rustic home. They will instantly update a bedroom and look great as a sofa throw too. 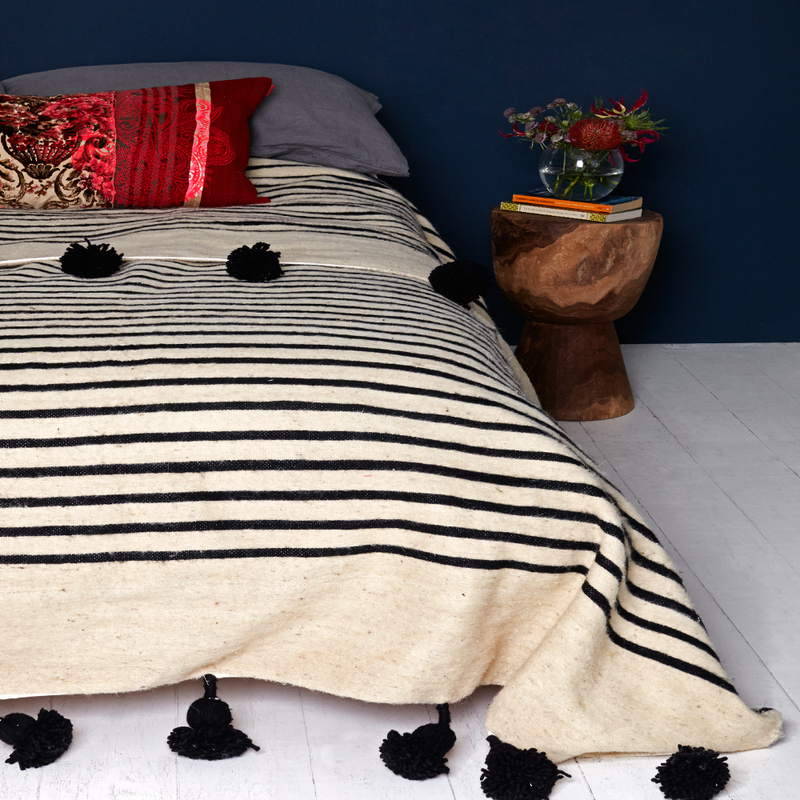 Our Moroccan Pom Pom blankets have been featured in Grazia, Homes & Gardens, Real Homes Magazine and Apartment Apothecary.